Farming events on the horizon: NOFA-NY Winter Conference 2011 Diggin’ Diversity taking place January 21st-23rd in Saratoga Springs, New York. The conference offers a variety of workshops & the ones (at first glance) that I’m most excited about are: Getting Healthy Food into the Hands of Low Income Eaters: Nutrition Programs and Farmers Markets, Institutional Markets: Setting Up Relationships with Schools, and Alternative Pricing Structures & Strategies. 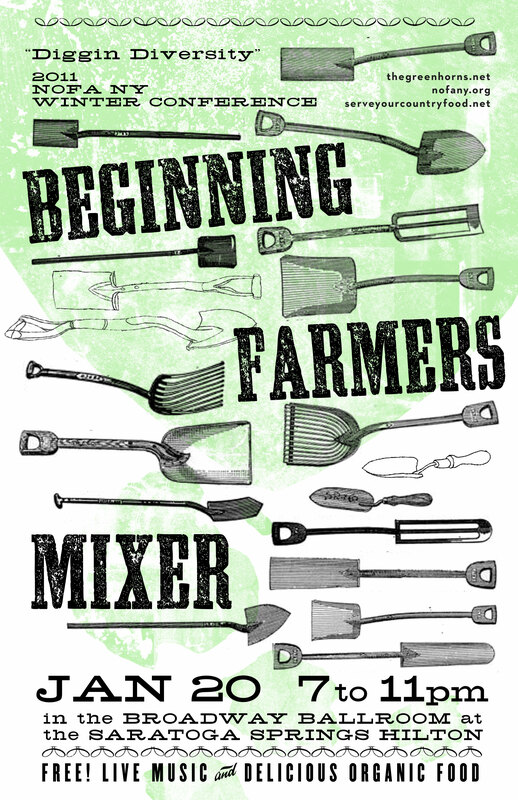 If you want to kick off the conference with a little socializing, The Greenhorns are throwing a Beginning Farmer Mixer Thursday, January 20th from 7-11pm.